A rock chip on your car or truck windshield can easily be repaired by an auto glass professional. The integrity and quality of the repair is based on many factors. 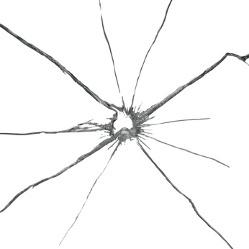 Dirt, water and other contaminates in the rock chip can inhibit the clarity and integrity of a windshield repair. Follow these steps to ensure the abilty to perform the highest quality repair. Locate rock chip and place a piece of tape over the rock chip on the outside of the windshield. Thermal shock, or the expansion and contraction of glass from temperature extremes can cause the damage to spread, break, and crack the windshield beyond the point of repair. If your car, truck, or semi has windshield damage and you would like to save money by having it repaired call the professionals at Glassman immediately, 937-524-6021 to schedule your service today.